Kuta, a tiny town on the southeast coast of Lombok, was the last stop on my Indonesian getaway. Kuta’s famous as a surfer’s haven, and there are tons of tiny beaches whose beauty is matched only by their world-class reef breaks. Incidentally, there’s also a Kuta on Bali. It’s also famous for surfing, but the similarities stop there. Bali’s Kuta is overloaded with tourists. Lombok’s Kuta, by comparison, still retains the charm of a tiny seaside town where traditional life still reigns. 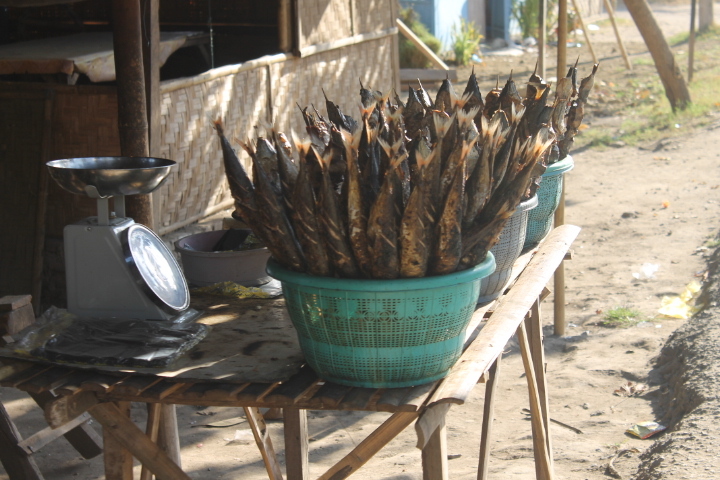 Standard Asian street food…fish on a stick.